What’s the difference between roof replacement and roof recovering? Roof Replacement is when you tear off your old roof and install a completely new one in its place. In certain situations, this is the best solution to roofing issues. Unsurprisingly, roof recovering is cheaper than roof replacement. You won’t have to pay for the cost of removing and disposing of the old roof. You’ll just have to pay for the installation of a new one. Beyond that, when a roof is torn off, it exposes your building to the elements, the most dangerous of these being rain and moisture. When your facility undergoes a roof recovering, it is never exposed to the elements, making it a less risky option than a complete replacement. You may be thinking, “Why would I pay to tear off the old roof if I could just install a new one over it?” Well, because roof recovering is not always a viable option. If the existing roof has excessive moisture within it and has not been properly repaired, installing a new roof over it could trap the moisture and cause problems in the future. Additionally, your existing roof may have been a recovering job itself, meaning— your existing roof may have been installed over the roof before it. Facilities are generally only allowed a limited number of recoverings before the roof must be torn off and completely replaced. Beyond that, there are certain requirements a roof must meet in regards to wind up-lift resistance and fire protection. A roof recovering is not a viable option if it would not meet those requirements. In an ideal scenario, your “old” roof would be in perfect condition, aside from being a bit worn-out. It’s unlikely your roof will be in “perfect” condition, but your roof is a good candidate for recovering if damage is minimal and could be repaired before beginning a recover. If you’re not following a preventative roof maintenance plan, you might hardly even notice your roof until something is wrong—which could prevent recovering as an option. Quite often, it’s a leak that gets your attention. If that’s the case, you’ll need a professional to assess the condition of the roof and help you determine the extent of the moisture present in the current roof. If there’s too much moisture trapped, the damage may be too extensive for repair to be cost-effective. In that case, a complete tear-off and replacement would be the best option. 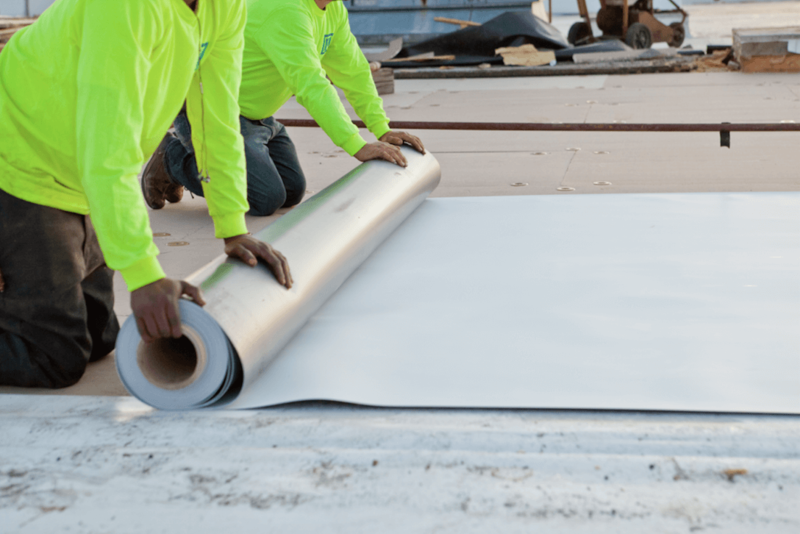 Regardless of your situation, make sure you get a professional commercial roofer’s assessment before deciding on a recover or a replacement. Click here to get in contact with us. We’d love to help you make the best decision for the future of your facility.